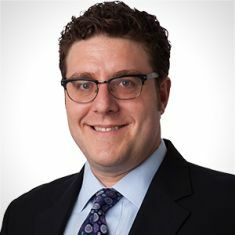 A policy expert and deft administrator, Josh Rubin brings an impressive depth and breadth of mental hygiene services knowledge and expertise to HMA. Prior to joining HMA Josh was vice president and chief operating officer of the Mental Health Association of New York City (MHA-NYC), a leader in services, advocacy and education for people with mental illness and their families. He directed the agency’s day-to-day operations, including those of its subsidiary, Link2Health Solutions, Inc. They provided a wide range of behavioral health services, including residential, rehabilitation, child and adolescent, family support and technologically mediated services including the National Suicide Prevention Lifeline, the national Disaster Distress Helpline, New York City’s LifeNet, New York State’s HopeLine and the NFL Lifeline. Prior to joining MHA-NYC, Josh was director of policy and planning for YAI Network, where he led advocacy efforts and helped develop an international training and consulting business that facilitated the creation of the first group homes for people with developmental disabilities in Jordan. Before joining YAI he served as assistant commissioner for Mental Hygiene Policy for the City of New York Department of Health and Mental Hygiene. During his years of city service, Josh also served as the assistant commissioner for Chemical Dependency Services, the Division of Mental Hygiene’s chief policy officer and chief administrative officer, and as special assistant to the executive deputy commissioner for Mental Hygiene Services. Before his government service he was on the staff of the Coalition of Voluntary Mental Health Agencies. He also served on New York City’s Community Services Board from 2008 to 2014. Josh received a Master in Public Policy degree from the John F. Kennedy School of Government at Harvard University and a bachelor’s degree in religion and the humanities from the University of Chicago. Josh lives in Washington Heights with his wife and two young children, with whom he spends his free time visiting playgrounds and coaching T-ball.